Planetary nebulae, glowing shells of ionized gas, are the spectacular products of the evolution of low- and intermediate-mass stars. For astrophysicists, they are important laboratories for the understanding of atomic, molecular, dust, and plasma processes in different cosmic environments; they enable the exploration of the fundamental physics of single and binary star evolution including nucleosynthesis, rotation, mass transfer and loss, and magnetic fields; and they help trace stellar populations, the kinematics, and chemistry of galaxies including our own galaxy, the Milky Way. 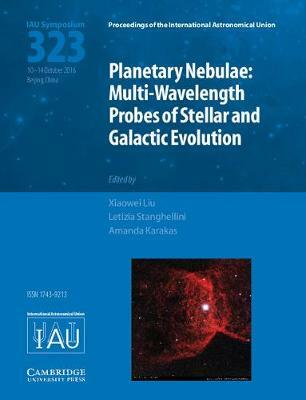 This volume reviews the current status of this vibrant research field in the form of invited reviews, contributed talks, and posters presented at the IAU Symposium 323. It should be of interest to researchers and advanced students interested in this field and in related fields, including stellar physics, the interstellar medium, and Galactic and extragalactic astronomy.